It only took one round for Daniel Jaime to get comfortable in the ring and one more round for him to knockout his Thai opponent. Not bad for his Muay Thai debut out of Tiger Muay Thai & MMA Training Camp in Phuket, Thailand on Friday night (June 8). Jaime, who has had over 20 mixed martial arts fights in his career, made his way to Thailand just last week to train for his first ever Muay Thai fight in the country. The Brazilian already has a few other Muay Thai fights scheduled back in his Australia, where he currently calls home. “I came out here to test myself and see what level I am at. This was a great opportunity,” said the 26-year-old. Left elbow strikes was the key weapon in Jaime’s arsenal, using an aggressive style that saw him jump at his opponent, Deelerd, multiple times throughout the first round. Jaime’s ability to bob and weave his opponent’s strikes really came in handy in the second round, when Jaime forced a takedown following a barrage of combinations. 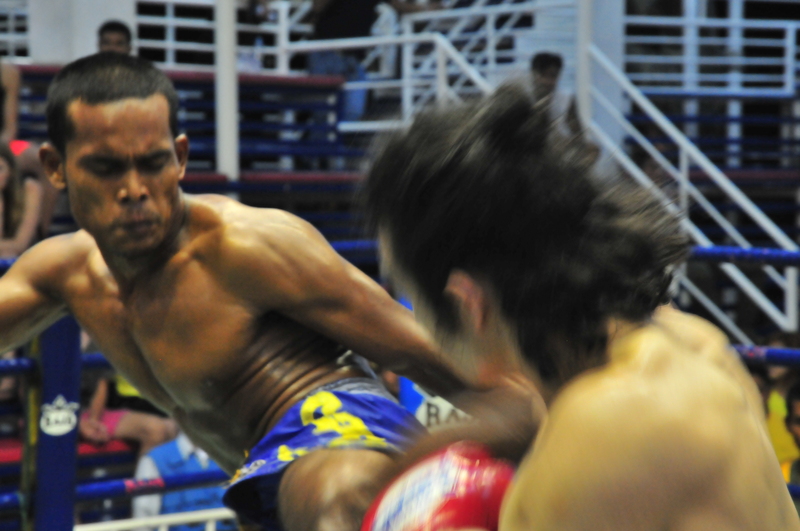 Just 15 seconds after that takedown, Jaime used a flurry of left kicks to KO his opponent winning his Thailand debut.